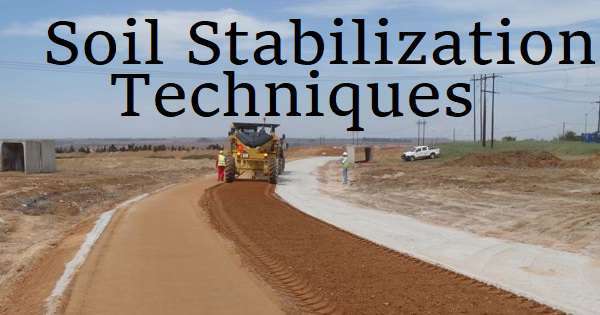 Civil Engineering Seminar report on the topic of Soil Stabilization. Download seminar report pdf and ppt on soil stabilization. Successful modern soil stabilization techniques are necessary to assure adequate subgrade stability, especially for weaker and wetter soils. Soil stabilization is a process which improves the physical properties of soil, such as increasing shear strength, bearing capacity etc. which can be done by use of controlled compaction or addition of suitable admixtures like cement, lime and waste materials like fly ash, phosphor gypsum etc. These new trends are initiative in the highway improvements. Now highways are well stabilized and more secure. The costs of the construction as well as in maintenance are reduced. These new trends are eco-friendly because the use of fly ash is used as an important material and it is a residual of thermal power stations and in Free State, it is very harmful to the environment. So there is a great hope for the further improvement in these techniques.